(16 January 2015) –One Grand, 11 gold, 27 silver, and 51 bronze Effies were awarded, and 59 finalists were recognized, at Effie India’s open air gala, held at the Taj Lands End hotel in Mumbai. The Grand Effie went to Soho Square Advertising & Marketing Communications Pvt. Ltd., Ogivly & Mather India, and Bharatiya Janata Party (BJP) for their case “The Political Campaign That Created History”. 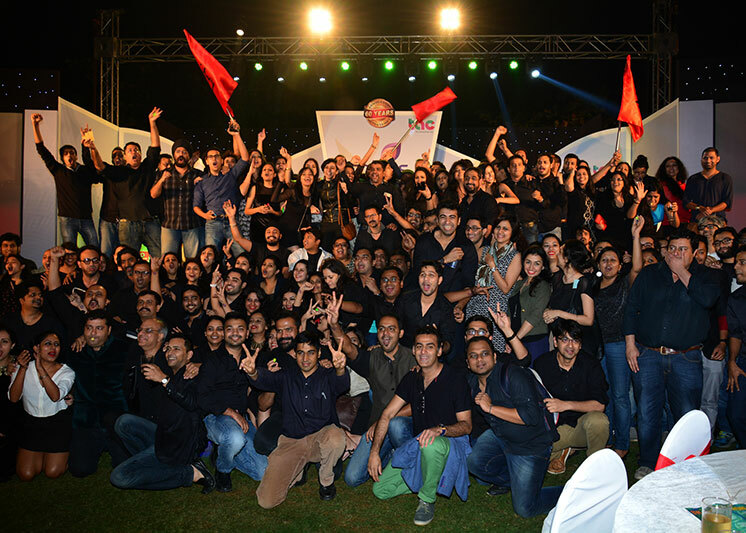 Ogilvy & Mather India was awarded Agency of the Year and Hindustan Unilever Limited won Client of the Year. Entries were judged by 195 advertiser and agency representatives over seven judging sessions held in Mumbai and Delhi. For more information on the Effie India program and Effie India’s 2014 Gala, click here. For a full list of Effie India’s 2014 winners and finalist, click here. Effie India is run by Effie Worldwide partner, The Advertising Club. 2014 marked The Advertising Club’s 60th year anniversary, and 14th year of organizing the Effies in India.